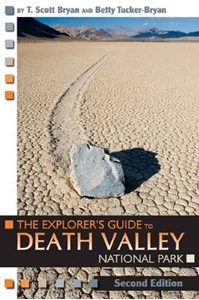 Originally published in 1995, soon after Death Valley National Park became the fifty-third park in the U.S. park system, this guide was the first complete guidebook available for this spectacular area. Now in its second edition, this is still the only book that includes all aspects of the park. Much more than just a guidebook, it covers the park's cultural history, botany and zoology, hiking and biking opportunities, and more. Information is provided for all of Death Valley's visitors, from first-time travellers just learning about the area to those who are returning for in-depth explorations. Rewritten, reorganised, and revised, the book includes updated point-to-point logs for every road within and around the park, as well as new maps more accurate than those in any other publication. With extensive input from National Park Service resource management, law enforcement, and interpretative personnel, as well as a thorough bibliography for suggested reading, The Explorer's Guide to Death Valley National Park, Second Edition is the most up-to-date, accurate, and comprehensive guide available for this national treasure.